This heavy duty fiberglass reinforced polyester door is the strongest entrance in the Manko Window Systems, Inc. product offerings. It has wide stile aluminum rails, filled with a dense foam core, a layer of hardboard backing and an aluminum sheet used for smoke protection. These layers are bonded together assuring the strength to withstand almost anything. Top that with the outermost final layer of high durable fiberglass reinforced polyester sheet bonded to the previous components and you can not go wrong. 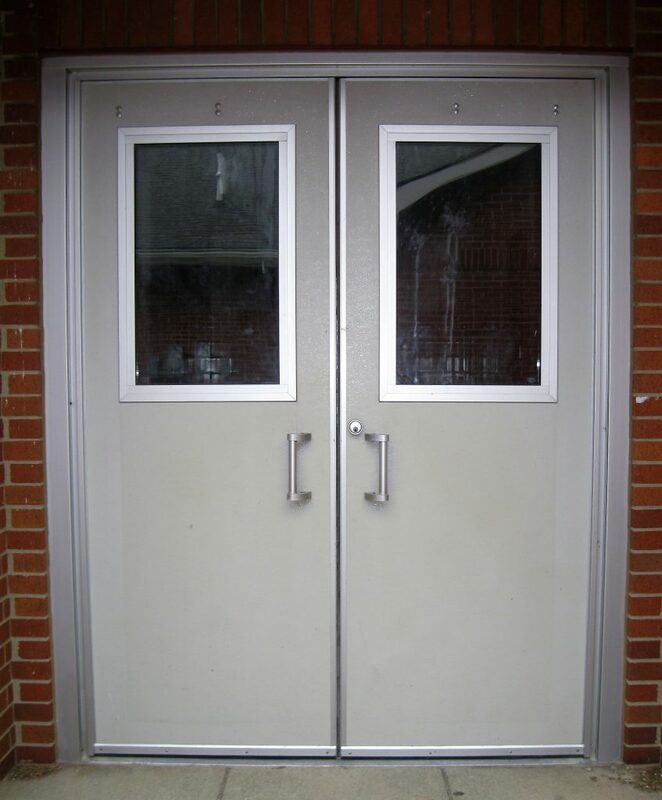 The 170 series “FRP” door is for high traffic areas such as schools. We can accommodate all major brands of continuous hinges and rim panic exit devices, including a new recessed pull option. This product is a great fit for locker rooms, side entrances, or anywhere entrances would take a pounding.